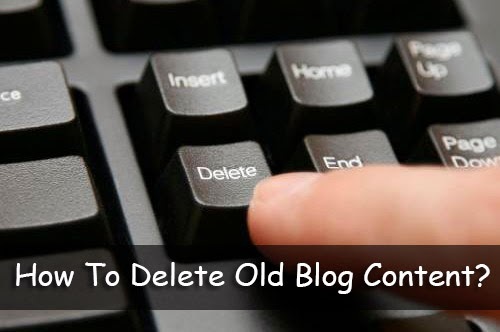 How To Delete Bad Quality Posts In Blogger Without Effecting Blog SEO? Managing a blog with hundreds and thousands of pages and blog posts can be a tedious job. Not everything ages with your blog - some things expire. News updates become old, comparisons become obsolete, tutorials no longer remain relevant, and so on. You might have, over time, accumulated some 'bad quality' posts that are effecting your site's ranking or user-experience. So what should you do about such obsolete content? As you will find out, simply deleting the content in question will not suffice, and can lead to undesirable consequences. What makes a post 'bad'? As mentioned before, certain content remains relevant only for a limited period of time. For example, a job listing is irrelevant once that position has been filled. Similarly, online shopping stores have to deal with products going out of stock all the time. Some eCommerce sites might even stop selling products from a certain vendor. Blog posts tend to get outdated too. News highlights are a common example. But more important are the reviews, tutorials, and round-ups that you write. For example, the top 10 most useful WordPress plugins might not be the same in 2014 as they were in 2013. And suppose you wrote a plugin development tutorial based on WordPress 3.8. What if WordPress completely changes in version 4? Another common problem among bloggers is, they have to put up with a lot of low-quality posts they put up initially to get their blog started. They didn't know better then, and with the passage of time, even though they learned a few SEO skills, they learn to ignore the old, low-quality content. The problem with obsolete content is, it harms user-experience. If you were lucky enough to land a visitor on your website organically (i.e. via a search engine), the last thing you would want is to drive that visitor away with outdated, irrelevant or low quality content. Having bad content increases your bounce rate. Bad quality content also continues to harm your domain authority and, if it comes to the worst, might cause Google to slap a domain-level penalty. This means that no matter how many good quality posts you might have on your site, your site's SERP performance will be determined by the bad quality posts, which become a bottleneck. So what should you do with such content? The most obvious solution would be to take down the bad quality post, leaving behind a 404 error page. You can use 404s in a creative way, and keep the visitors engaged within your website. 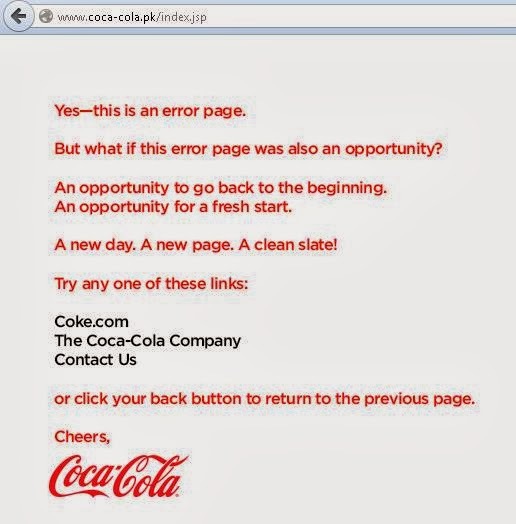 Check out this simple, but effective 404 page from Coca-Cola. It is, however, not advisable to use 404 error pages. Why? Because they alert search engines that an error exists within your site. It is not a good SEO practice. Besides, 404 pages mostly put users off, no matter how creative you are with crafting a custom 404 page. People tend to bounce off the second they see a '404'. For the vast majority of scenarios, I'd suggest 301 redirecting your expired content to another page. This is usually the best option for SEO and can also be customized to enhance the user experience via dynamically-generated messages. For instance, if a certain blog post had garnered external links, you're able to retain most of the link equity from those links via a 301 redirect (whereas with a 404, that link equity is lost). Why would you want to lose the link equity that you had worked so hard to obtain? Furthermore, it demonstrates to search engines that your site is well-maintained and up-to-date or "fresh". It also tells them where to find the updated version of your content. Therefore it is almost always advisable to use 301 redirects instead of 404s, provided that you have, indeed, updated or improved upon your obsolete content. If you haven't, maybe now's the time to do it, because you're losing precious user-experience points every time a visitor lands on your site!